Turn heads with a pretty patterned blind at your window. Find everything from contemporary geo designs to floaty florals in our collection. Whether you’re in need of inspiration or have something particular in mind, we’ll have the perfect patterned blind for you. Our collection is bursting at the seams with fresh florals, contemporary checks, smart stripes, fabulous textures and more to help you create a gorgeous look at home. 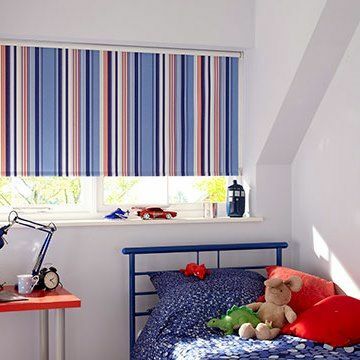 We even offer a wide variety of patterned blinds for children too, so your little ones won’t feel left out. Our patterned blinds come in a range of styles – choose from Roman blinds, Roller blinds, Vertical blinds, Pleated blinds, blackout blinds, Skylight blinds and VELUX® blinds. 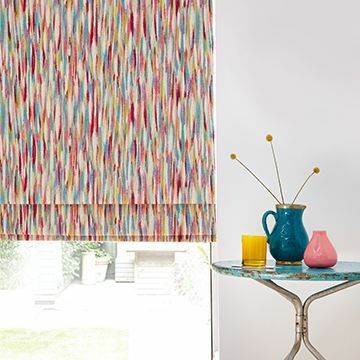 And, depending on your preference, you’ll also be able to customise your patterned blind with a range of headers and accessories. We’ll bring our entire range of patterned blinds for you to browse in the comfort of your home, so you can see how different styles work with your décor or at your window. Our expert advisors are also on-hand to offer any advice you might need. 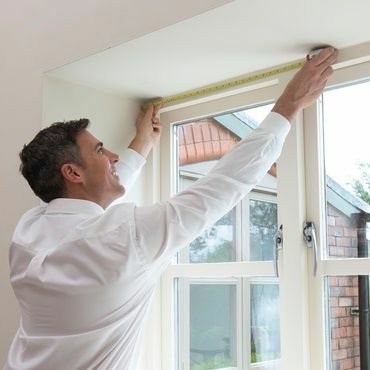 And when you’ve selected your favourite patterned blind, we’ll measure up and return to fit it for you.